So, my wash days are known to be eventful. I few weeks ago I was due for a wash day. I pulled out my supplies as usual. This particular time I used Organix Aragon oil of Moroccan Renewing shampoo which I love by the way. I followed up with Creme of Nature’s conditioner. This wash day was particularly hard because I waited entirely too long to detangle my hair. I lost so much hair in the shower I could have cried. The tangles were unbelievable, but rightfully so it was time for me to trim my hair. Hence the single knot strands, and knots upon knots. I had those knots that no one knows are at your kitchen but you do. You so do and if you accidentally snag a finger nail on it when taking down your pineapple you might just give up on life its self. Listen I’m painting a picture for somebody it can’t just be me alone. 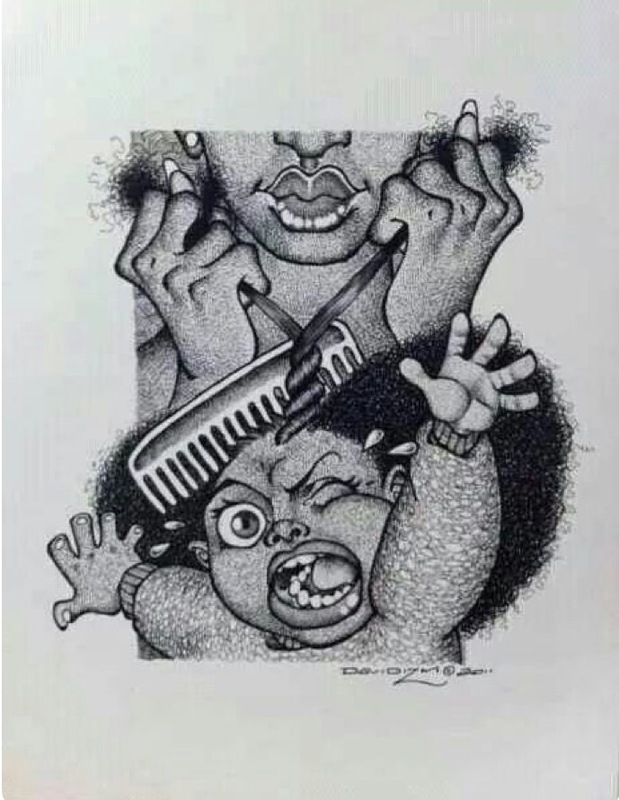 Beadie beeds are real and there coming for you if you don’t get with that comb girl! When I got out of the shower I parted my hair down the middle because at this point I’m done!Two French braids will have to do for the night. I’m in the middle of putting my hair in two braids when I hear buzzing. So I think to myself gosh darn it must be the mosquito that got into the house earlier. The mosquito was having a mini feast on my legs since it arrived. I decided I was going to take out this mosquito. I was determined so I picked up the first thing I could find. I sprayed and sprayed. In the mist of going to war with this thing I accidentally walked in to the mist. I screamed like it just got real! I started screaming because ya girl had been spraying Clorox bleach. I darn near blinded myself fooling with that mosquito. It was in this moment I knew I had messed up! Lucky for me I washed my face and rinsed my eyes in time. I was in the clear right wrong! When I look up there was bleach all over the walls and in my hair. I was done with this wash day. I rinsed my hair out with water. Called babe just so he could tell me the inevitable. I had to wash my hair all over again. He made sure to remind me it was possible if I didn’t I would be walking around with blond patches or worse bald spots. I knew what I had to do. Im not even going to hold you. After all of that happened I was not about to take my braids down. I washed right on top of them. This time finishing off with his Tresemmé conditioner and I didn’t regret it this time either. After that ordeal I put a pin it. I saved the trimming and styling for another day. There are two take aways from this story. The first is to be careful of what you spray around your hair and at eye level. Even some air fresheners have pretty toxic ingredients that you don’t necessarily want to douse your hair with. The second is to know when to fold ’em. I could have went on with the planned process, but I would have been miserable. Not only would I have been miserable my hair would have suffered. Being impatient and rushing while doing your hair can cause unnecessary shedding and snagging. There is no shame with carrying your wash day over to the next day. A day when you have more patience would be ideal. Protect your peace of mind and put a pin it when it counts. Remember, be happy, be curly, be you, and you will never fail! P.S I got the mosquito. This Post was posted in hairstory, natural hair, Wash Day Chronicles and tagged #curlyhair, #curlyhaircommunity, #haircare, #naturalhaircommunity, #naturallycurly, #teamnatural, #washday, natural hair. Bookmark the permalink.